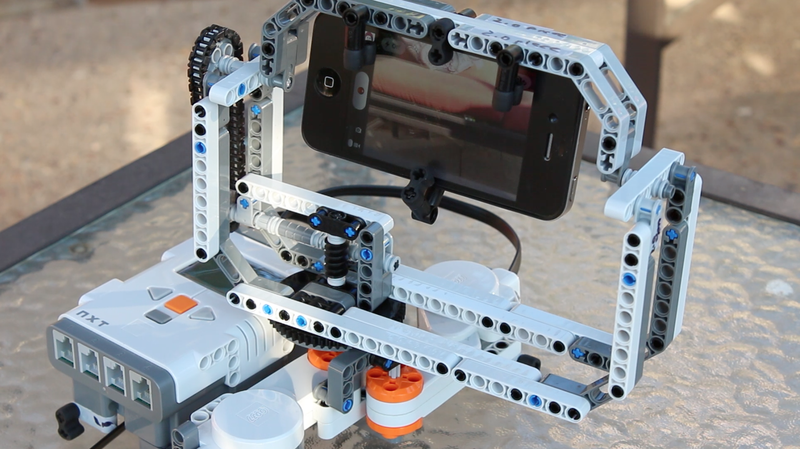 Originally designed by Leon Overweel, OneMindstorm modified the Mindstorm Rig to provide iPhone compatibility. The rig uses two motors, therefore the rig can tilt and pan in different angles. The rig can be controlled using another Mindstorm. The remote control is quite simple and can easily control the rig without issues. 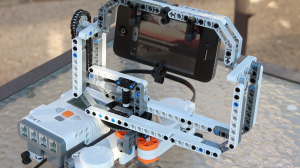 This rig performs extremely well, and we expect that future software on the upcoming Mindstorm Ev 3 would provide even more features, such as a direct bluetooth connection between the iPhone and the Mindstorm. The tilting motor needs to run at 1/7th the speed in the same direction of the panning motor at all times to compensate for that so you can run the rig in one dimension without effecting the other (you can then increase/ decrease the speed to actually tilt). 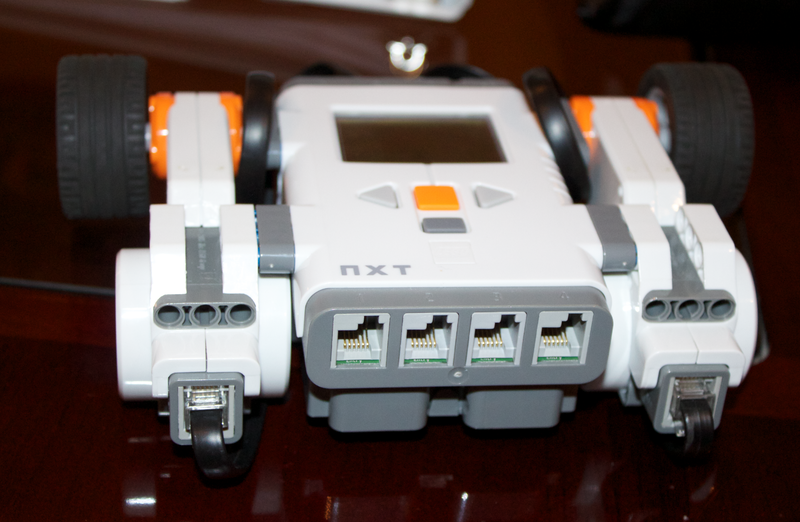 We built this using the NXT 1.0 set, however additional pieces were needed. Instructions can be found at Leon Overweel‘s site. However below we additionally have a LDD slightly modified along with building instructions for the remote, therefore the rig works properly with the iPhone. Several pieces aren’t correctly colored on the LDD. 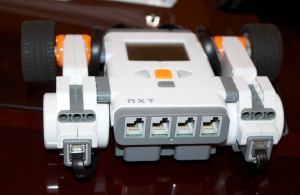 You’ll need Robot C in order to download the program onto the NXT. For help and support, you may contact us or Leon Overweel the original creator of this robot.